Morphological assessment of the musculoskeletal system has been the main focus of cross-sectional imaging techniques for years. With new technological advances, the morphological information available from either CT or MRI has been continually increasing ( increased resolution, two-dimensional to three-dimensional [3D] isotropic imaging, optimized contrast, decreased artifacts, and larger coverage). Faster acquisitions have allowed even more information to be obtained at the same time. In MRI, the use of higher magnetic fields, higher performance gradients and coils, and parallel imaging count among technological improvements that have allowed morphological imaging to advance. 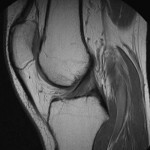 Additionally , 3D spin-echo techniques for the imaging of joints, metal artifact reduction techniques, Dixon techniques for fat suppression, nononcologic applications of whole-body MRI and diffusion imaging have contributed to better MSK imaging standards. Ultrasound imaging of the musculoskeletal system continues to improve due to better training, improved equipment, as well as broader applications. Ultrasound guided injections have made significant impact on patient management and earlier return to activity.